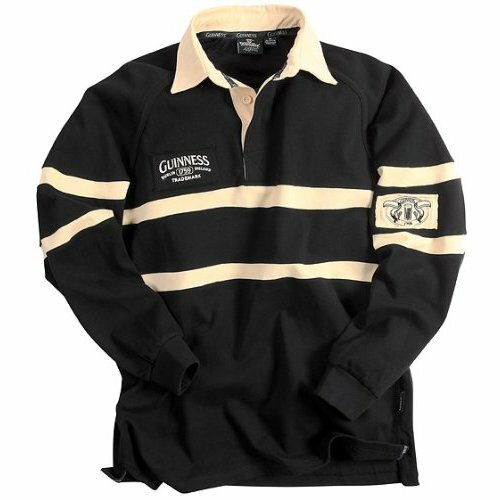 GUINNESS OFFICIAL MERCHANDISE Classic GUINNESS Black and Gold color combination 100% polyester performance fabric Curved gold insert shoulder panels Gold zip and neck trim detail Comfort fit half zip detail Classic embroidered chest patch Embroidered 1759 waist patch SIZING: CHEST: Med. 46",Large 48",XL 50",XXL 52 ", and XXXL 54". Body Length; Med. 29", Large 29.5", XL 30.5",XXL 31.5", and XXXL 32". Sleeve Length as measured from the base of the neck; Med 32",Large 32.5", XL 33", XXL 33.5" and XXXL 34". 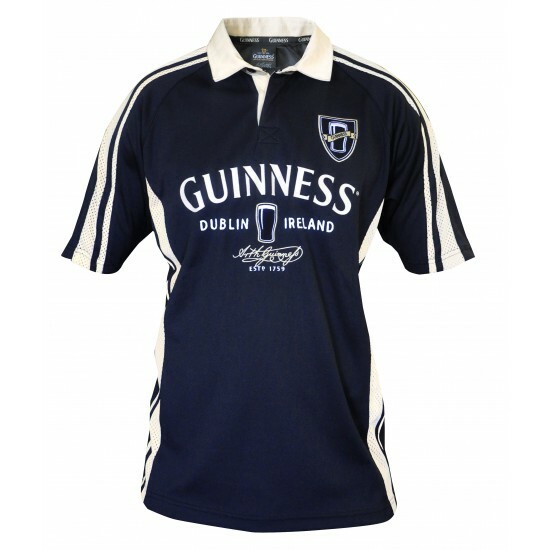 Guinness is a brand internationally synonymous with Ireland. Gaining recognition in all corners of the world, it truly is a global brand. The name has always been associated with quality, style and heritage, lending itself perfectly to branded merchandise.